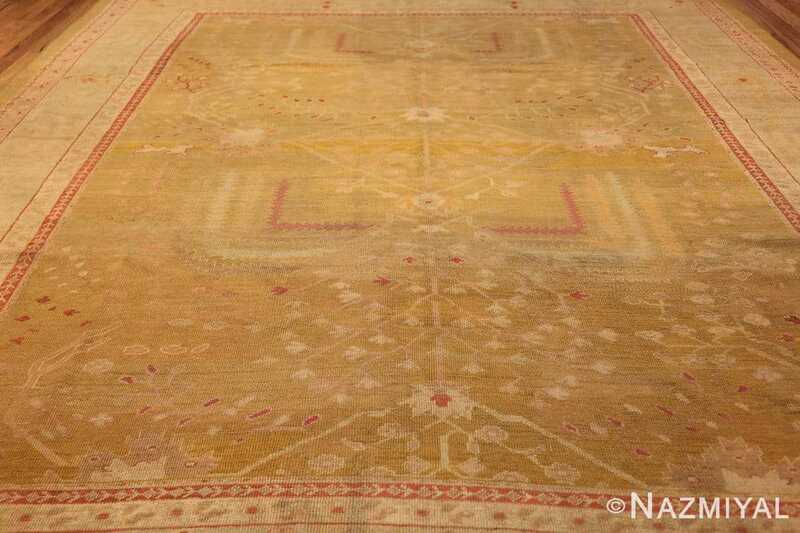 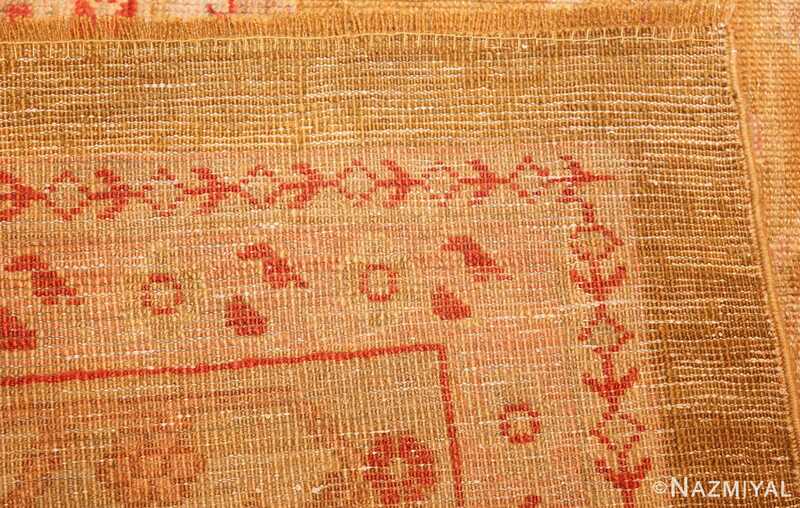 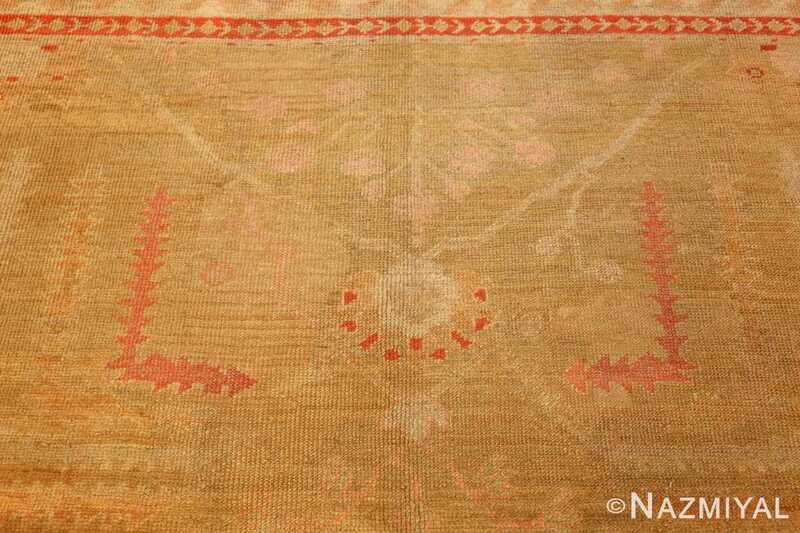 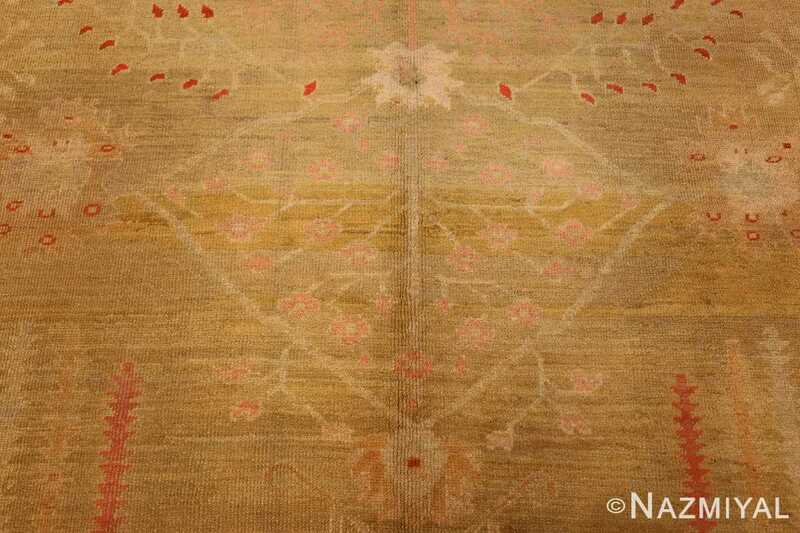 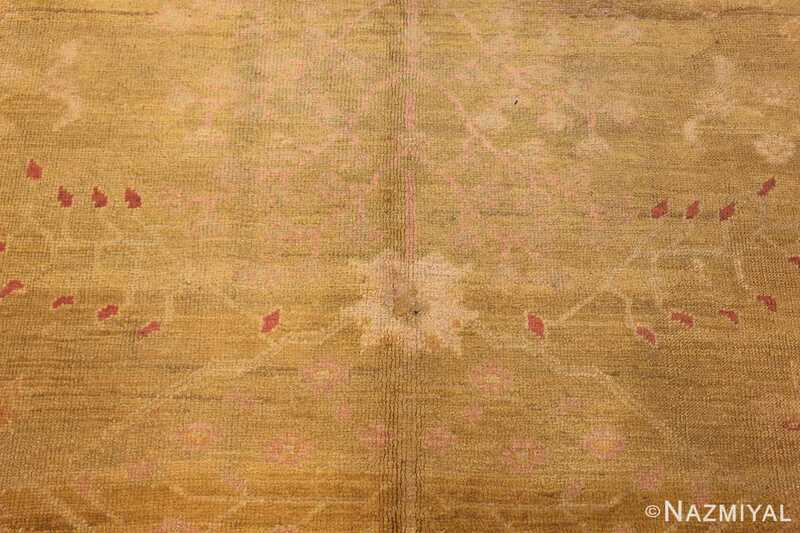 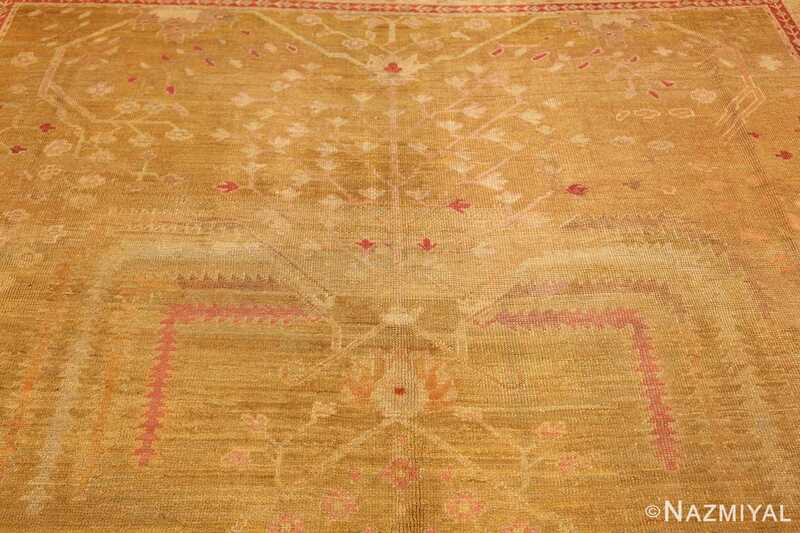 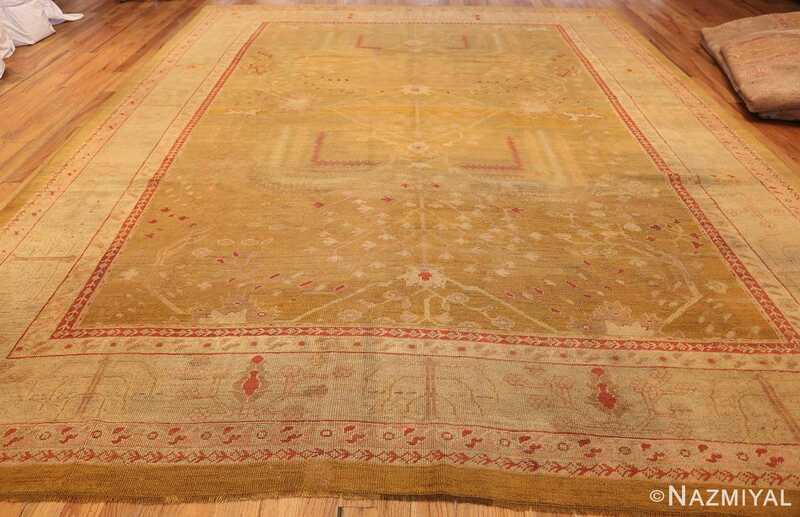 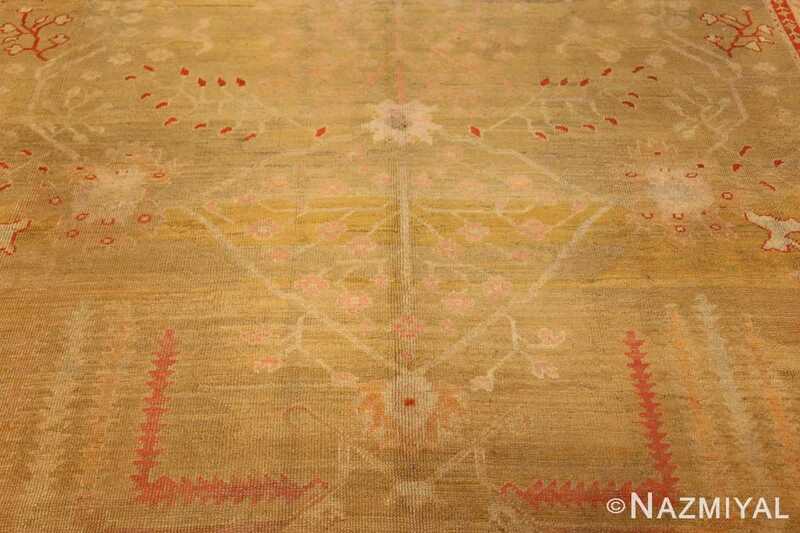 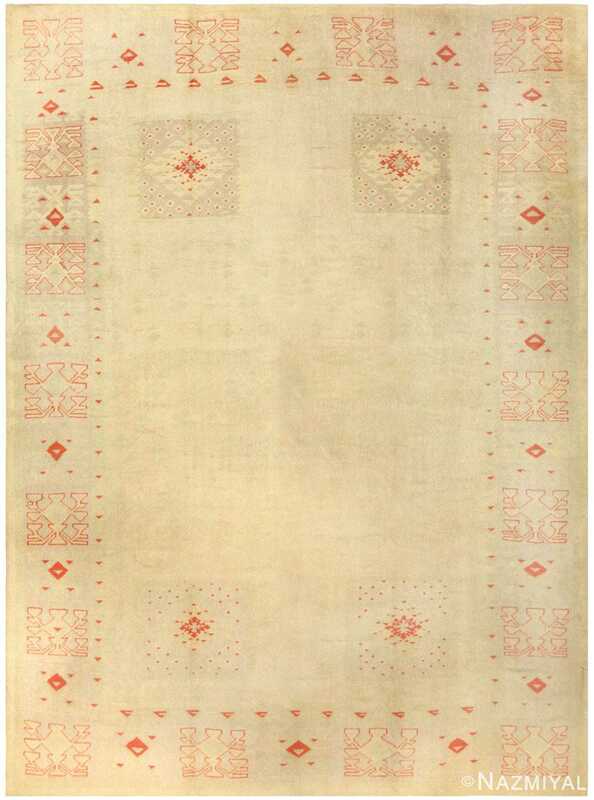 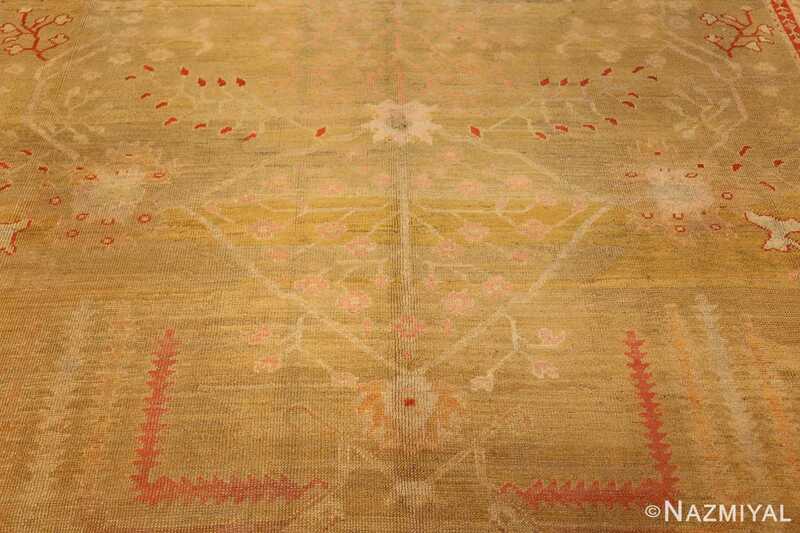 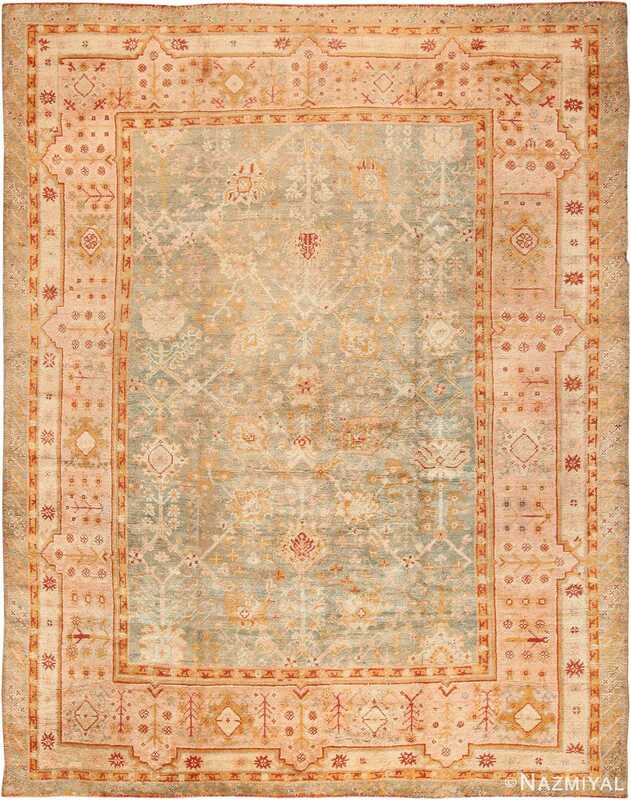 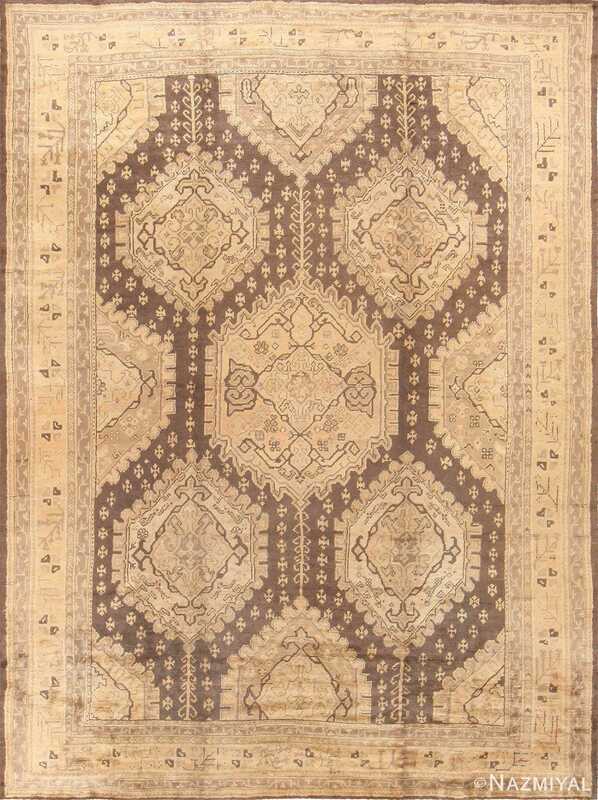 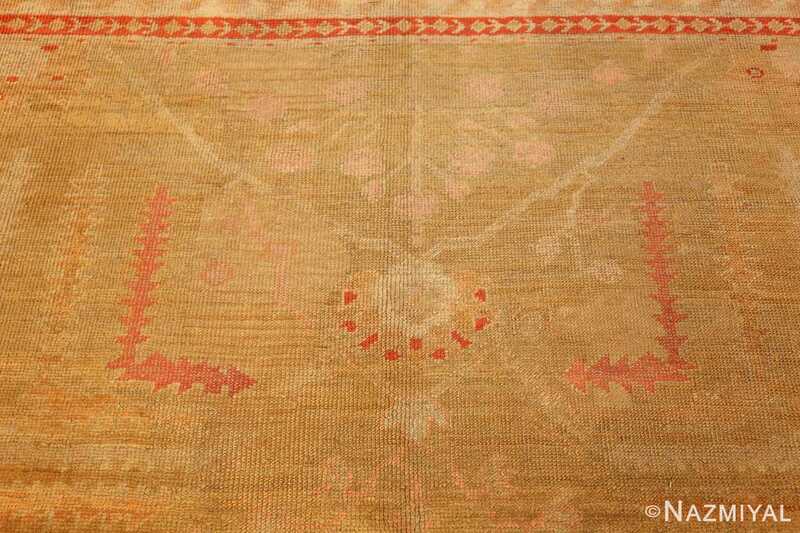 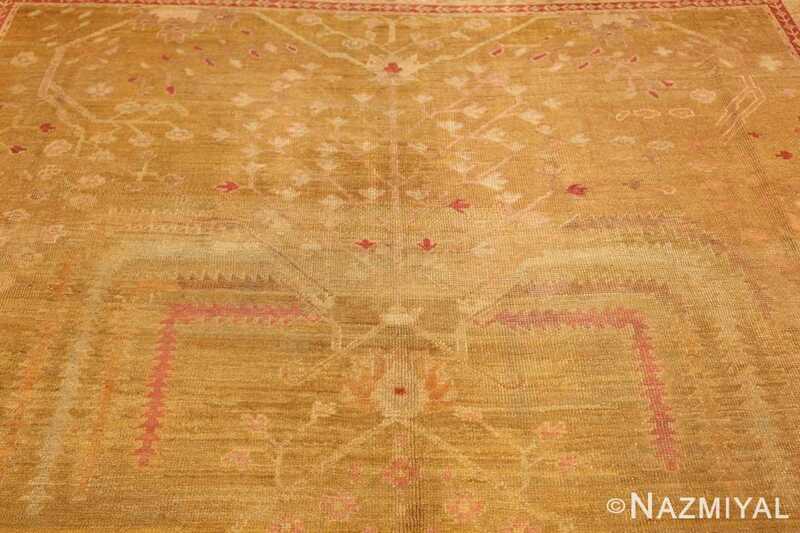 Antique Turkish Oushak Rug, Country of Origin: Turkey, Circa Date: 1900– A golden vision with swaths of yellow and cream, this antique Turkish Oushak rug features a botanical theme stitched in red and white. 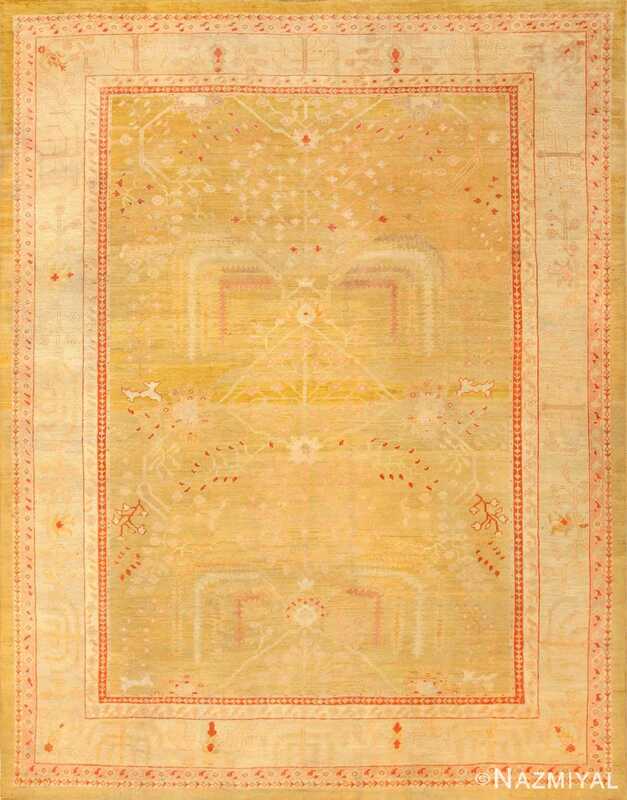 The main panel’s yellow background sprouts with saplings or small bushes along the center line, surrounded by leafy vines and flowering stems, all depicted with geometric angles. 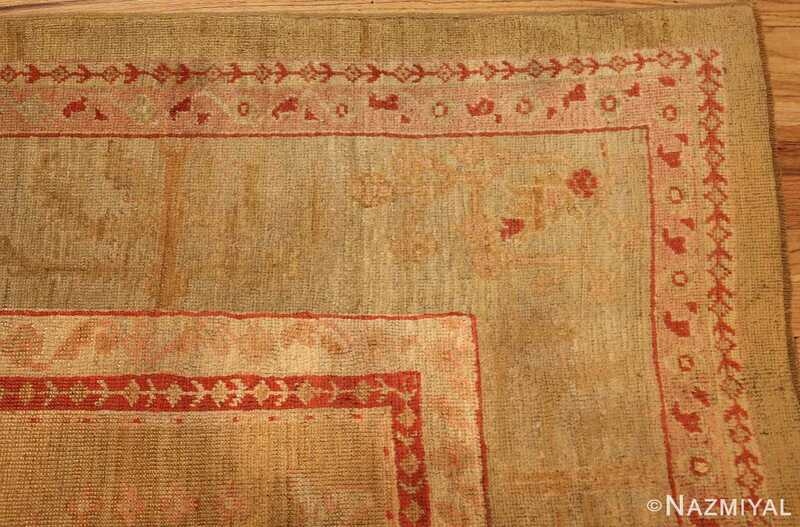 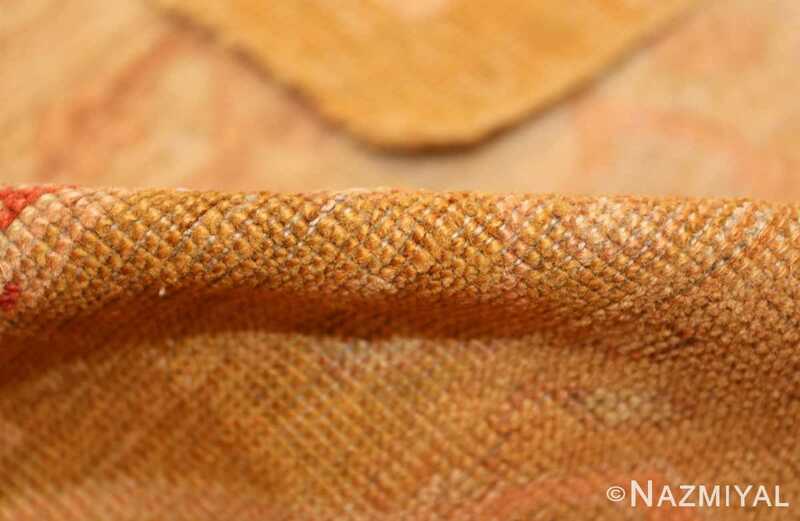 The scant orange-red touches accent the very pale, faded white decorations. 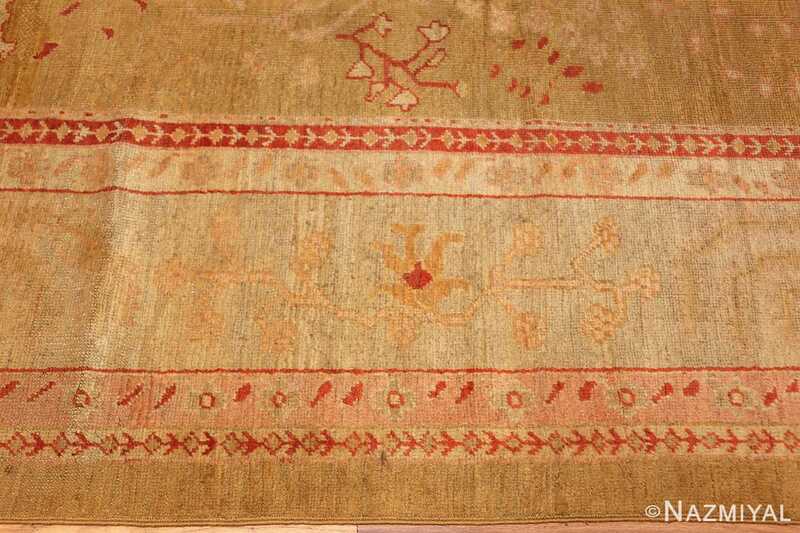 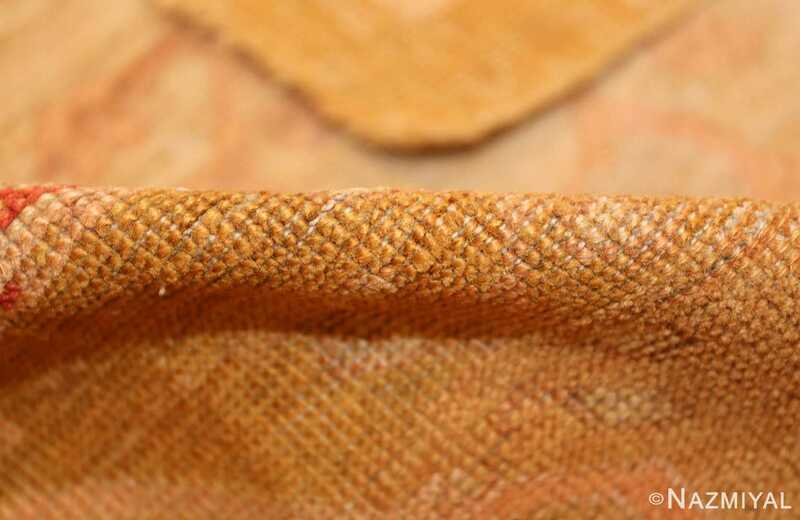 A tiny red border full of repeating, simplistic flowers accents the golden field, leading to several additional bands. The widest of these on the rug is as pale as the primary pattern, with almost ghostly forms of blossoms and branches filling its space.